Just south of the famous New Braunfels, TX Tube Chute lies a canopy of trees over our riverfront property. Enjoy music, quality service and friendly faces as you receive your tube to take on the Comal River's two-hour float. Arrive early on the weekends to avoid long lines and waiting times. We serve ages 4 years and older. 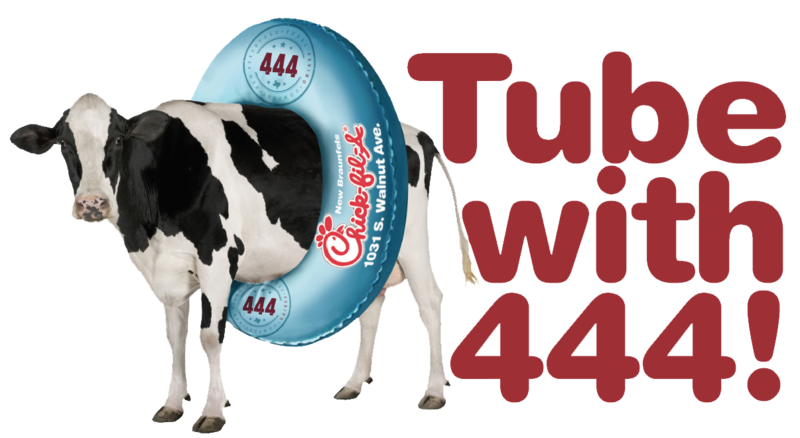 Don’t miss out on the fun here at 444 Tubing!